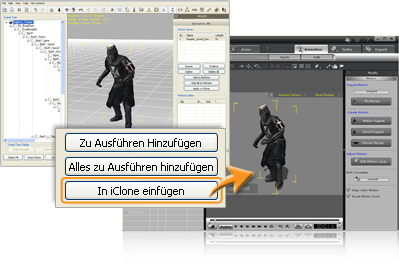 Import and convert 3DS, OBJ, SKP, FBX & BVH files into iClone. Converted files retain 3D mesh, node relation, texture, material, skin-bone rigging, and animation data. Load iClone content for further editing - object separation, build model hierarchy for animation, merge props, add custom material, or re-arrange perform animation list. Directly CTRL-click on target elements, or box select for multiple items. Super-fast item grouping, and further scene tree hierarchy management. View the polygon count information for select items right on-top. 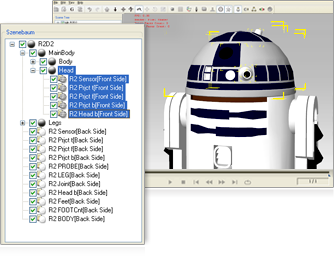 Reset group and pivots for sub-prop animation such as car wheels or robot arms. Convert skinned-bone human to iClone motion-ready characters for Kinect mocap, puppeteering or Human IK editing, or convert animals to non-human creatures for FK/IK motion editing and make everything ready for animation. With the built-in motion player, you can easily preview the embedded motion data in your character or prop. You may also apply preset motions to calibrate results. The motion data can be easily found in the perform menu list for quick and easy management. 3DXchange5 now works seamlessly with iClone5! With the AppLink function, you can quickly bring characters and animations from 3DXchange5 to iClone5 by simply clicking on the "Apply to iClone" button. This gives you a quick way to transfer data between these two applications. 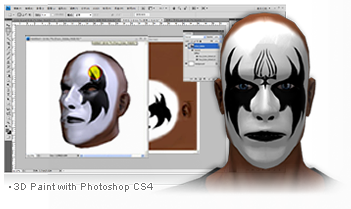 Export OBJ from iClone for external tools like Photoshop CS4, ZBrush, Mudbox and others. Replace 3D avatar bodyparts with newly shaped models, detailed normal maps and textures. 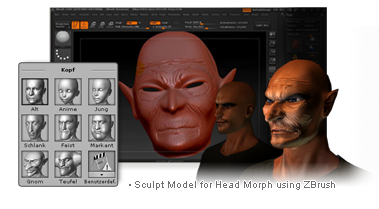 Build a custom head morph target using 3D sculpting tools, and then reload the finished OBJ as a new custom morph target which can be applied to any iClone 3D character equipped with a G5 head. 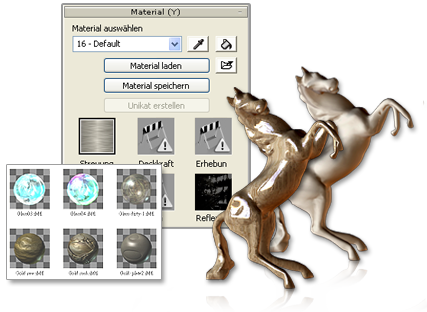 Complete material editing features include multiple texture channels, UV offset, UV tiling, opacity level, specularity, glossiness, ambient and diffuse color. Add textured UVs to imported models without prior UV assignment, or customize UV to selected object with assigned UV types. This allows you to refine the texture layout before exporting to iClone. To better process character data inside 3DXchange5, now you can import a character file (like FBX) into 3DXchange5 and then automatically assign a folder to place the required character embedded textures, in order to make the character data lighter for faster characterization and motion editing. Edge Smoothness: Auto-smooth and define hard or soft edges by using a specified angle threshold. Normal Correction: 2-sided, flip, unify.